It's our 16th Loon, Henry Bauer! Bauer is a former hobby-cryptozoologist who has jumped on-board Peter Duesberg's HIV-denialist bandwagon. He's a harmless loon (but still a loon) when writing about Nessie, UFOs and ESP (yes, he is afflicted with a bad case of crank magnetism). However Bauer has escalated to red alert level with his dangerous and misleading advice to HIV-positive people (‘HIV does not cause AIDS’), based on literature he simply does not comprehend, claiming that it is the treatments and medicines that actually kill them. Probably partially guilty of some horrible deaths already. Described here. Diagnosis: Crank magnet; delusional loon; dangerous. Where's GARY Bauer? Has he fallen off the radar? I know - it's an unforgivable oversight. But don't worry. Once we're through the alphabet, we'll start a second round from A to Z. In addition to Gary Bauer, we also overlooked Sharron Angle (who, it should be mentioned, really rose to fame after her place in the alphabet had already been covered), Mike S. Adams (the other Mike Adams - not the health ranger), Carl Baugh, Art Bell, Russell Blaylock, Ray Bohlin, Shmuley Boteach, Kyle Bristow, Mr. Cap, Morris Cerullo, Ward Churchill, Laura Eisenhower and many others. There's gonna be plenty of entries in the second round as well, it seems. Here's (a takedown of) Henry Bauer attempting to reject science (by assertion and ad hominem) because it doesn't suppose his decidedly scientifically completely unsupported and unsupportably conspiracy theories. It's pretty breathtaking. 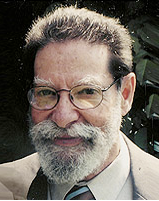 Bauer's work is extensively discussed here.